Every year we see competing companies going from home to home in our neighborhood trying to sign up consumers for their annual snow remove services. When they do sign a customer up, they stick narrow signs into the ground at the end of the driveway on both sides. These signs show their name and telephone number which is more advertising for them. These signs really serve two purposes. First it is a demarcation point to show the snow removal operator where the end of your driveway is. Also where the driveway meets the lawn or whatever bounds your driveway. This is helpful for the operator so that they do not damage your lawn etc. In the winter time when everything is covered by snow it is helpful to have something to tell the driver where the driveway ends and the lawn begins. In addition, this is advertising to your neighbors that this company is providing this service to you. They even provide the phone number on the sign so that your neighbors can easily call them. Let’s face it the more people they can sign up on a street, the less time they spend between jobs. If they make more money, in the long run it reduces the cost for all customers. Since the costs can be averaged over more customers. If you are the first one, you might also ask them if you can sign up a customer or two for them in your neighborhood. Will they give you a discount on your own snow clearing. Even 10% is better than nothing and it leaves more money in your pocket! Residential snow removal services can cost somewhere between $300 to $500 for the season depending on the size of the driveway and the length of the driveway. In most cases they will also prorate the cost across the number of months that you are signing up for making it easier to make all of your payments. They are pretty reasonable and will adjust the cost based on whether they clear the steps or not and walkways around your home. Many people head south for the winter. They will hire a snow removal service before they leave. In fact they can clear the snow for the full season. Or for only the time that you are away if you cannot arrange for a neighbor to clear the snow for you. 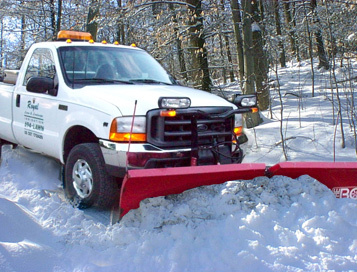 Sometimes it is just easier to hire residential snow removal services that you can depend on. Relying on a neighbor who may or may not always clear the snow for you. The important point here is to ensure that the home appears to be lived in and someone is home. An un plowed driveway is a sure sign that no one is home. A driveway with no tire tracks in the snow is another sign that no one is home. Arrange for the snow to be removed regardless of whether it costs you some money or not. It can avoid a lot of hassle if you are broken into.